What style of birdbath is best for my garden? 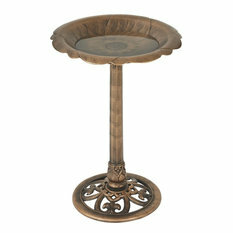 • Pedestal: The classic approach to birdbath design, the pedestal style has a wide, shallow bowl and single pedestal base. 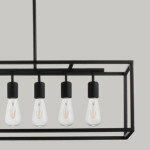 They come in a variety of materials and styles, including those with a more modern flair. 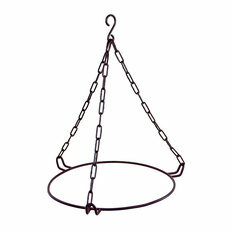 • Hanging: Hanging birdbaths are great if you have limited yard space and are supported by a three-point chain that hangs from your balcony, a backyard tree or even roof eaves. • Heated: If you live in a colder climate, this is a great option for keeping your water — and the birds! — from freezing. • Fountain combos: With this design, you can complement the visual interest of birds bathing with the soothing sound of trickling water. 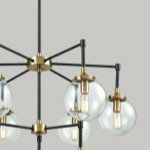 They can come in single- or multi-tier designs. What materials can birdbaths be made of? 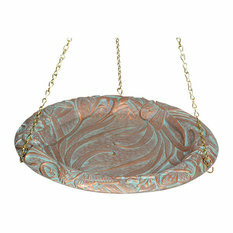 Typically birdbaths are made from concrete, ceramic or plastic, but you can also find metal, glass and stone varieties. Keep in mind your visual preferences when choosing, but don’t forget to consider weight, durability and ease of cleaning, too. • Stone: Stone birdbaths are classic and built to last. While they’re fairly heavy and have a limited selection of colors, they age well. 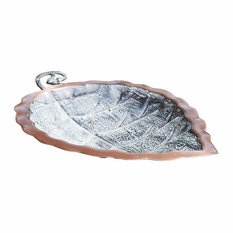 Look for one that has a smooth surface on the inner bowl to prevent algae build up. 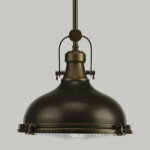 • Ceramic: These come in a wide variety of colors and styles, and they look great, too. 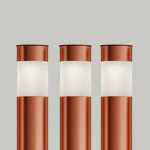 However, they’re typically heavy and prone to breaking if tipped over or hit with a heavy object. 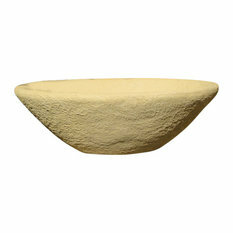 Again, you’ll want to look for a model with a smooth inner bowl to prevent algae build up. 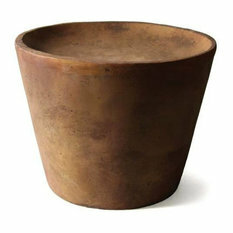 • Copper and metal: These materials are durable and can add a unique, modern flair to your garden. They’re also less likely than stone or ceramic to harbor mold or algae. If you choose a metal or copper birdbath, be aware that the finish will develop a patina over time, thereby changing the overall look and color of your birdbath. • Resin: This style is extremely durable and doesn’t show it’s age, plus it weighs much less than your ceramic or stone options. Because of their lighter weight, they’re more prone to tipping over, so be sure to fill the base with something heavy or secure it another way. How do I attract birds to my birdbath? 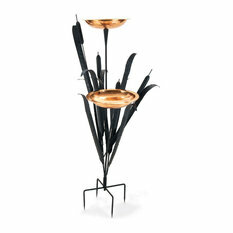 • Place your birdbath in an area with good visibility and nearby shelter such as trees or shrubs. Try to avoid placing it too near to branches if you’re worried about prowling felines disrupting your birds’ bath time. • Make sure the water level isn’t too deep. Birds like to perch around the edge or in the water itself. Another option is to add small branches or stones for them to rest on. • You can also place a layer of sand in the bottom of the dish to provide sure footing for your visitors. 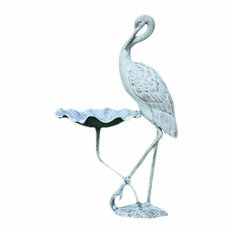 • Adding motion, like water dripping or a fountain-style birdbath, helps to attract nearby birds. 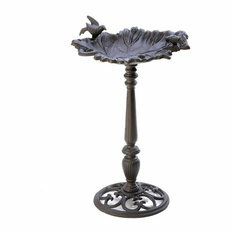 Pedestal Bird Bath, Bronze, 20"x20"x28"